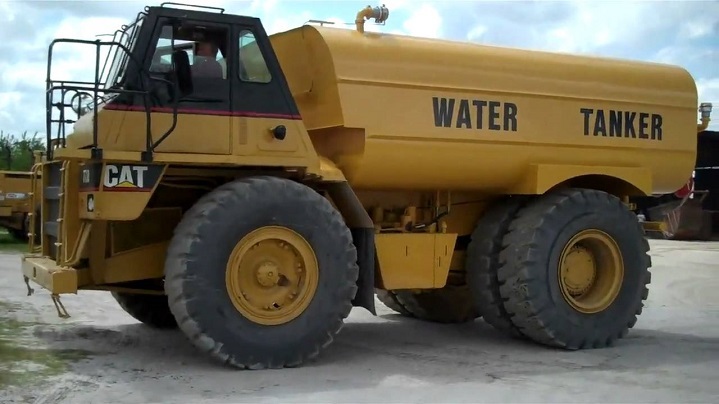 From its applications in construction to its importance in the mining industry, a water tanker forms an important part of earthmoving equipment and plays a role in everything from dust control to compaction. 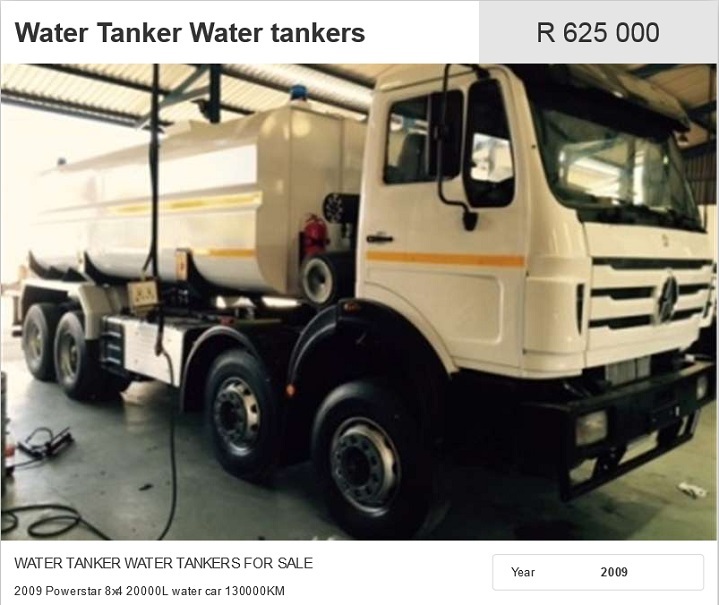 If you are looking for a water tanker for sale, Truck and Trailer is a great place to start. Today we look at some of the manufacturers of water tankers and the solutions they offer – from bare chassis configurations to truck bodies suited for these applications. Offering off-highway truck bare chassis for speciality configurations, Caterpillar’s range includes a number of models. 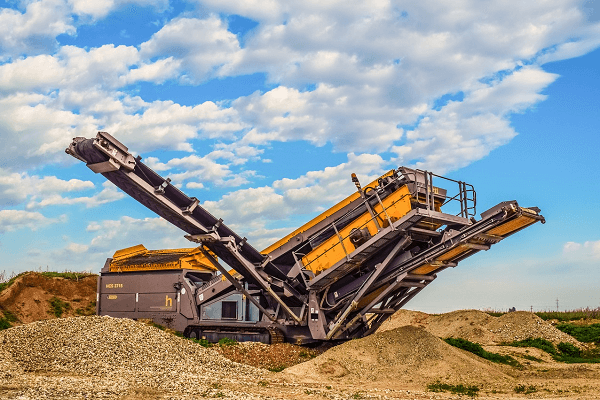 With these partial machine configurations, construction and mining users are able to invest in CAT equipment. 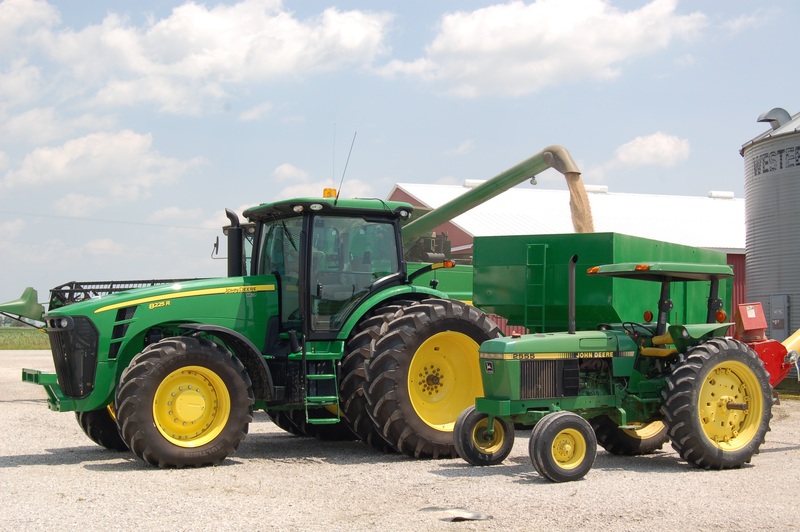 The off-highway truck chassis can be used for a number of final machines employed in specific applications including tow tractors and water tankers. Caterpillar offers bare chassis arrangements for a number of its models. 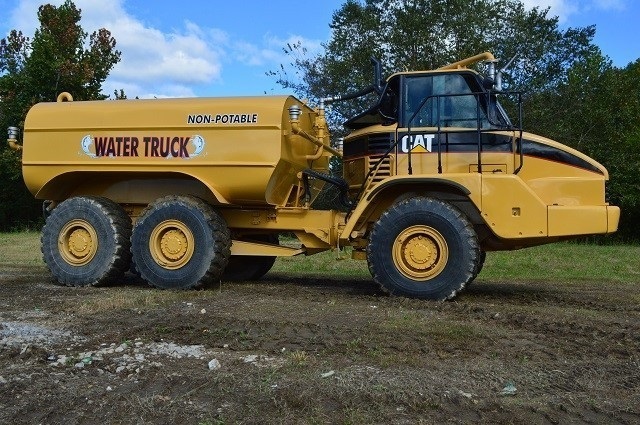 Caterpillar also offers the Cat Water Delivery and Control System (WDS) as a factory attachment with certain models (the 777G WTR and the 758D WTR). 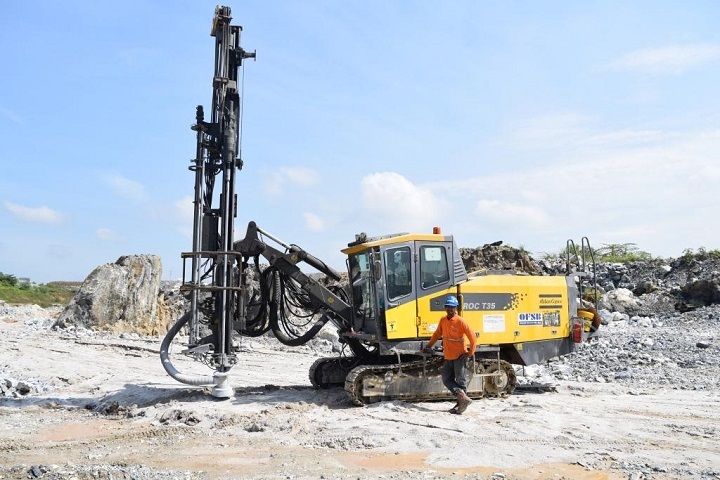 This WDS from Cat includes factory-installed features such as a water pump, a hydraulic pump as well as a motor, controls inside the cab of the truck and spray heads. 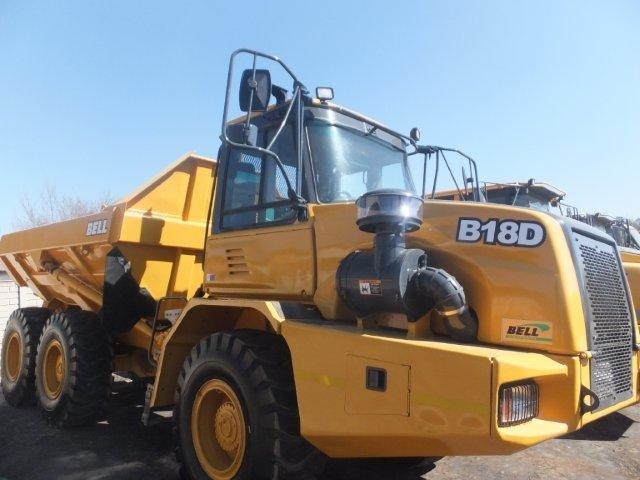 Offering a selection of water tankers for the construction, agricultural and mining industries, these tanks are specifically manufactured to fit the chassis of the Bell range of Articulated Dump Trucks (ADT). With tank capacities ranging from 15 000 litres to 45 000 litres, Bell is able to either fit these tanks to new ADTs or retrofit new tanks to older Bell machines. Delivering a Gross Power of 205 kW and a Gross Torque of 1 000 Nm, the B25D Water Tanker is equipped with 23 000 litre tank with a 6 millimetre steel skin and three fixed spray nozzles (180˚ spread). Other features range to include two 500 millimetre manholes, a roof access ladder and an external water pump with a capability of 800 litre per minute. Producing a spray width of nine metres, this tanker has a level gauge and a superior low centre of gravity, allowing for an increased stability. With a Gross Power of 170 kW and a Gross Torque of 810 Nm, the B18D is equipped with a 18 000 litre tank and, like the B25D model produces a spray width of nine metres and boasts a low centre of gravity. This water tanker for sale also features an external water pump (800 litres per minute), three fixed spray nozzles (180˚ spread) and two manholes (500 millimetre diameter). With a roof access ladder and level gauge, this model boasts a 6 millimetre steel skin, stainless steel butterfly valves (main valves) and flexible coupling between the motor and pump. 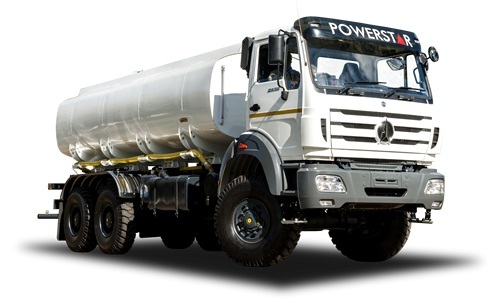 Powerstar trucks are specifically manufactured to take on the rugged conditions Africa has to offer. With ISO 9000 credentials, this manufacturer boasts a number of commercial vehicles that meet the requirements for tanker applications. 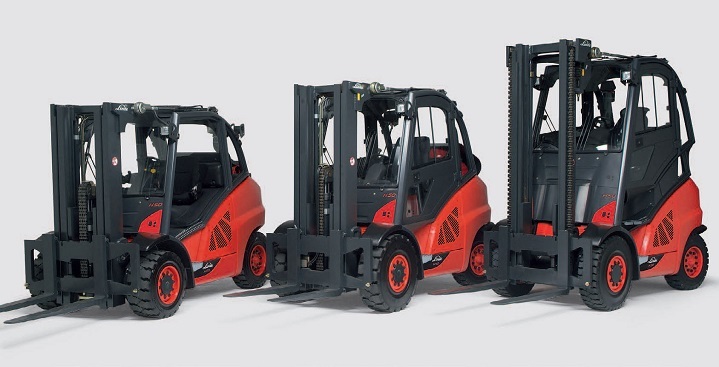 Delivering 250 Kw at 2 200 rpm, the 26 – 35 VX 6×6 produces a 1 350 Nm at 1 600 rpm. Fitted with ANS and EBD, this water tanker truck for sale from Powerstar is equipped with hydraulic shock absorbers, a non-free standing stabilisation leaf spring and a transverse stabiliser. It has an overall length of 9 390 metres, a wheelbase of 4 450 metres and is fitted with a Weichai Euro 2 Intercooled Turbo engine. 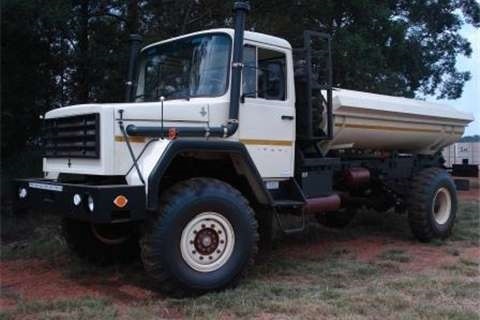 Supplied by Black and White Truck Manufacturing, SAMIL Trucks has been used by the South African Military for a number of years, proving its reliability. Heavy-duty, all-wheel drive trucks, also available are the SAKOM and SAMAG range of trucks, derived from the SAMIL truck ranges. With applications as water tankers within the mining and construction industries, this model boasts a five ton off-road payload and a permanent four-wheel drive. A tanker for sale with uses in the mining and construction industries, this model has a 10 ton off-road payload and a permanent six-wheel drive. A heavy duty model, this truck for sale is equipped with an ADE352T water cooled engine and is designed to carry a payload of seven tons. Typically used as a tanker truck, it is a Maguris truck powered by a Deutz V8 engine and has a payload of 13 000 kilograms. Also having a payload of 13 000 kilograms, this truck is powered by an ADE407 engine. Truck and Trailer features great deals on water tankers. 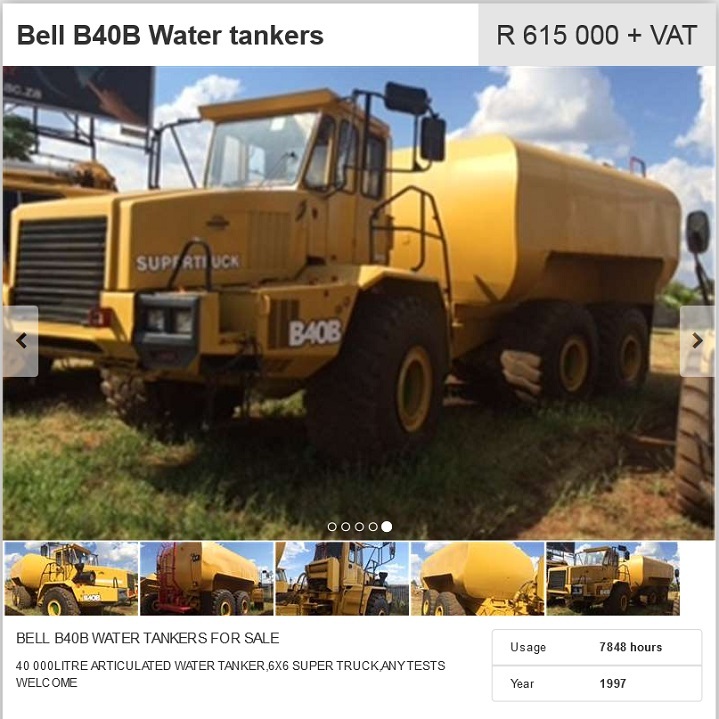 With quality brands and equipment to choose from, you are sure to find the ideal water tanker for sale in South Africa. A 2009 Powerstar 8×4 tanker is for sale on Truck and Trailer. Priced at R 625 000 and fitted with a 20 000 litre tank, this truck has 130 000 kilometres on the clock. 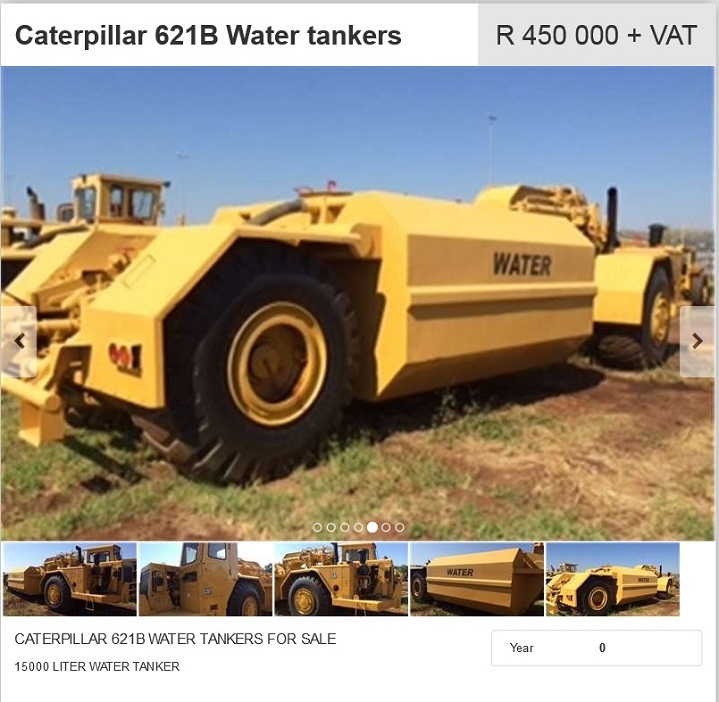 With 7 848 hours of work, this tanker is for sale in Gauteng from Gigantic Earthmoving. 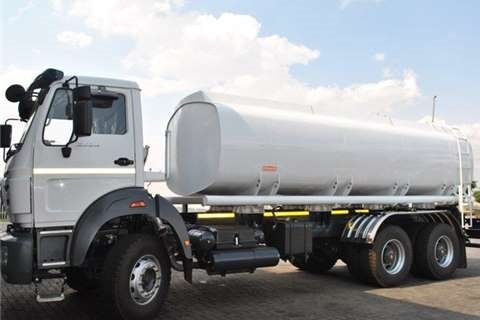 Featuring a 40 000 litre tank, this truck is priced at R615 000 plus VAT. 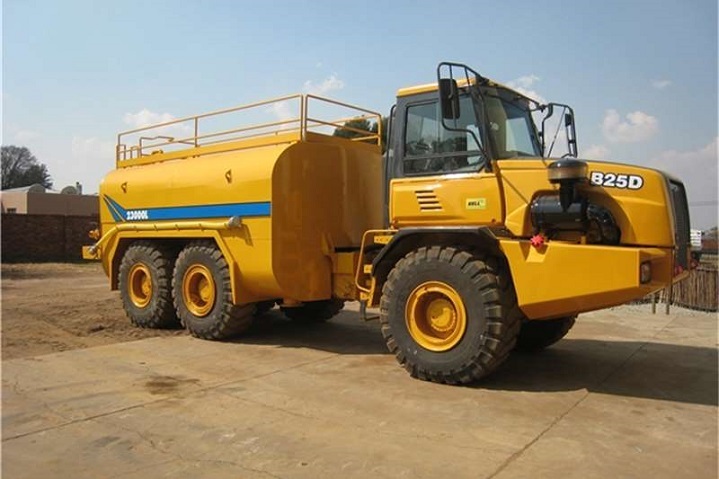 Available from Gigantic Earthmoving, this tanker features a 15 000 litre tank and is priced at R 450 000 plus VAT. Ready to find the ideal water tanker for sale to help you get the job done? Truck and Trailer is a great place to start! With various water tankers to choose from, you are sure to find water tanker trucks for sale that not only meet your standard and requirements, but your budget as well.